They are a metalcore band from Orange County, CA who have released five full lengths since their 1998 inception. The band achieved a fair amount of success and played numerous high profile tours alongside bands like, Avenged Sevenfold, Bullet For My Valentine, Story of the Year, and As I Lay Dying. Around 2011, Atreyu went on hiatus as multiple members focused on other projects. Vocalist Alex Varkatzas went to work on a project with Bleeding Through vocalist Brandan Schieppati called I Am War. 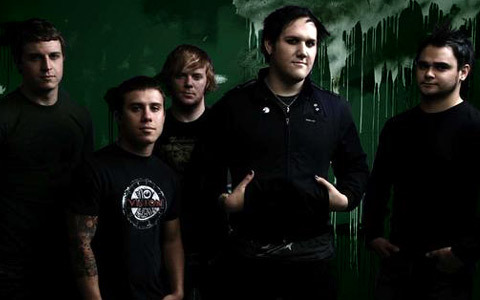 Drummer and vocalist Brandon Saller’s did a side project Hell or Highwater. Guitarist Travis Miguel formed Fake Figures with an all-star lineup which included Miguel on guitar, Rus Martin (Hotwire), Robert Bradley (Scars of Tomorrow), and Justin Pointer and Heather Baker who were both former members of Nightfall, a project that bassist Marc McKnight played for in 2003 before joining Atreyu. In July of 2014 the band announced they were working on new music and played a few select shows later that year. A new album called, “Long Live” was recently given a September 2015 release date. As a teaser, the single, “Long Live” has been released with a tricky cool video. Wade through it until the end for the dark direction payoff.